Union Pacific's LPA70 Granville job heads north (compass direction east) on the Shoreline Sub with 9. Train will make a hard left at Wiscona to head for the Granville-area industries. 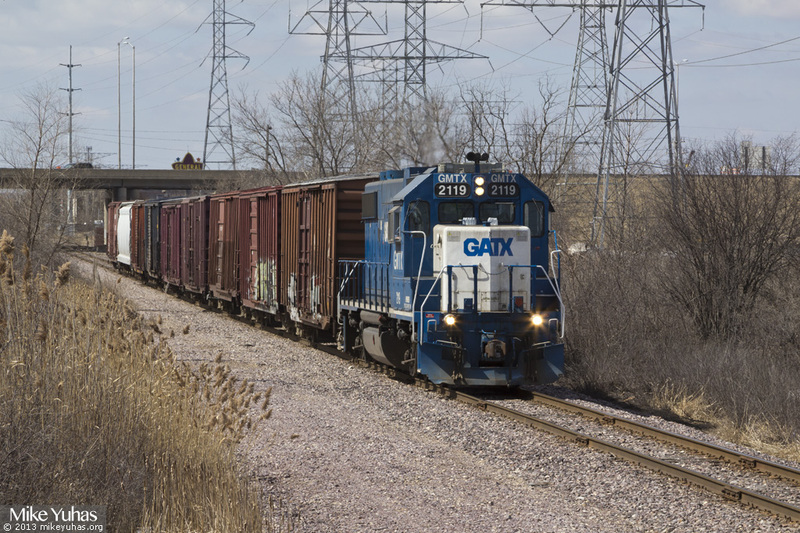 GMTX GP38-2 2119 has been a regular around Butler for nearly four years.